WASHINGTON COUNTY — Thanks to the work of a small team of investigators in Washington County working tirelessly to monitor, test and treat tens of thousands of mosquitoes and their larvae each year, the human population is able to live in peace. Or at least in more peace than if this group didn’t exist. When it comes to the deadliest species on Earth, most experts agree that the No. 1 killer is the mosquito, with an estimated 750,000 people dying globally each year as a result of the various diseases the insect carries. 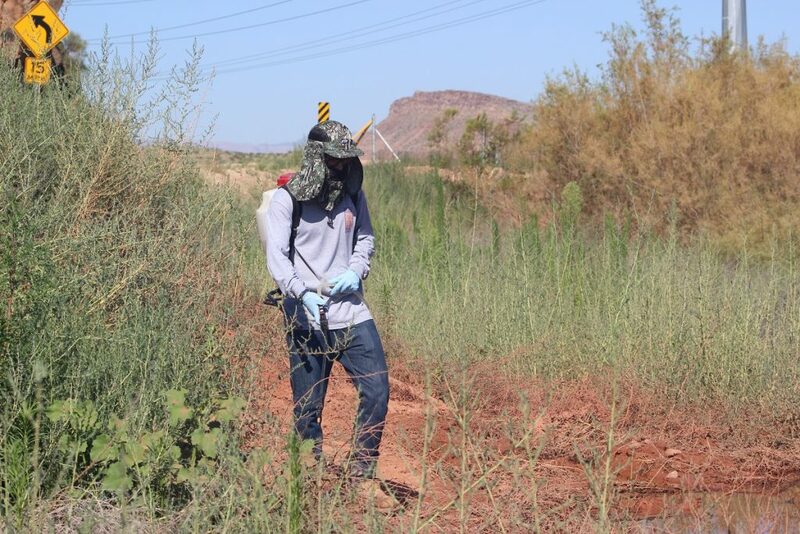 To mitigate this threat, the Southwest Mosquito Abatement and Control District was launched in 2002 to provide mosquito control throughout the county, an area covering more than 2,400 square miles. “Our mission and purpose here is to protect the health of the community by controlling mosquitoes,” Sean Amodt, manager of the Southwest Mosquito Abatement and Control District said. Mosquitoes carry several diseases, including West Nile Virus. Most commonly found in Africa, West Asia and the Middle East, the disease was first reported in the United States on the East Coast in 1999, Amodt said. It was reported in Utah four years later. “Once it arrived in the U.S., the virus quickly spread all over the country,” Amodt said. To reduce mosquito numbers, the district runs regular routes throughout the county, checking for mosquito larvae in all the places standing water is known to occur, an environment where most species of mosquitoes lay their eggs. Those areas are then treated right at the source of infestation. 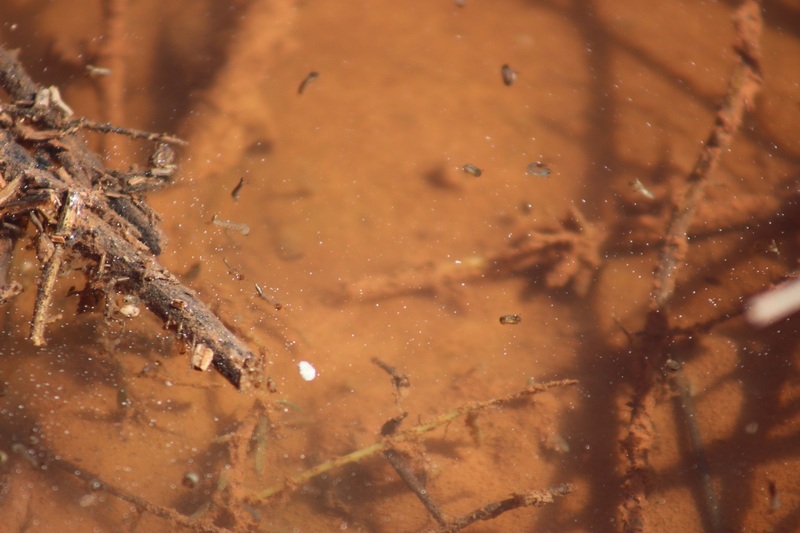 Recent heavy rains have kept crews busy going from one source of standing water to another, treating as many of the insects before they are able to fly, a method that is easier and more cost-effective. Running a small crew, they go out and check for larvae using specially designed capture cups which help them determine the larvae’s stage of development, the breed and other factors. This information is then used to formulate a plan of attack, using either a bacteria that inhibits the larvae’s growth so they never reach maturity or a biological agent that treats the surface water making it impossible for them to breathe. 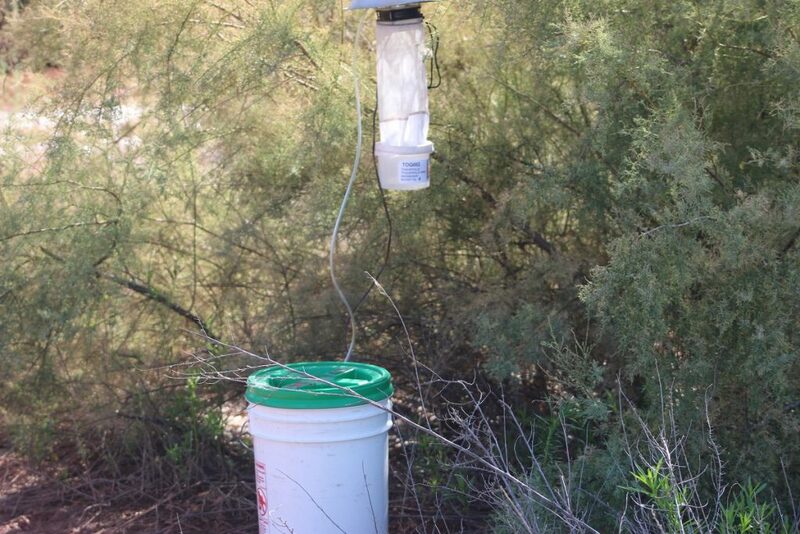 The district also monitors the adult mosquito population, setting 36 traps across the county each week using carbon dioxide, which imitates human breath, along with a light source. Once the mosquitoes are collected they are tested immediately for West Nile and Western Equine Encephalitis. 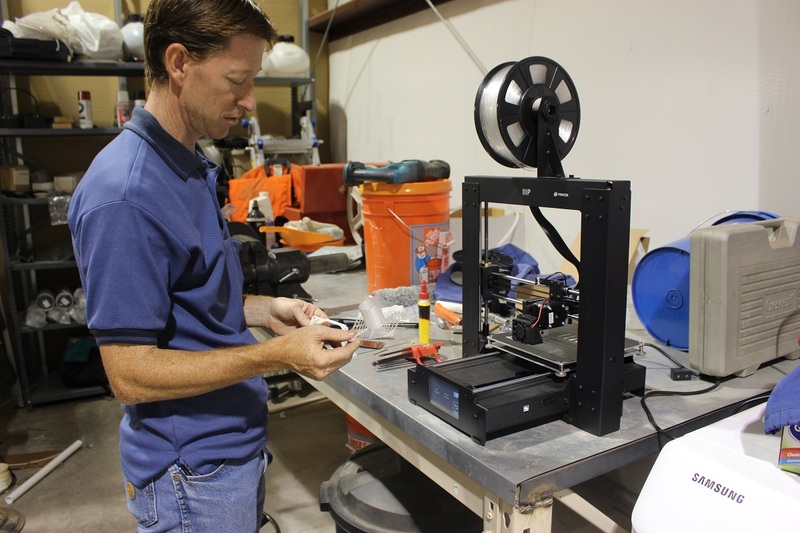 That testing takes place at the district’s local facility in Washington City, which is one of the few centers in the state that have their own equipment on site, Amodt said. This allows them to get immediate results, rather than waiting two weeks to hear back from the state lab. This is a huge advantage in control efforts because mosquitoes can breed so quickly, Amodt said, and with their own tests facilities in Washington County they are able to determine if a pool tests positive sooner, which reduces the time in between collection, testing and results. If adult mosquito numbers rise to a certain level or test positive for the virus, the team may use fogging to bring those numbers down. The district’s efforts seem to be paying off. According to a Utah Department of Health report released Aug. 5, Washington County has had no reported mosquito pools that tested positive for the virus so far this year. In fact, the last human case in Washington County was reported in 2013. Outside of Washington County, the additional good news is that there have been no human cases confirmed in Utah as of yet this year, said Dallin Peterson, an epidemiologist with the Utah State Health Department’s Bureau of Epidemiology in Salt Lake City. But it’s apparently not for lack of trying on the mosquitoes’ part, especially in northern Utah. In a report last week a Carbon County horse tested positive for the disease and was the first equine case in Utah to date. Peterson said horses can now be vaccinated against the disease, but humans will have to wait until one is developed. The Southwest Mosquito Abatement and Control District is a special service district of Washington County operating within an annual budget of $500,000 and funded through property taxes assessed at a rate of less than $3 per $100,000 of the property’s value, Amodt said. To put that into perspective, the city of St. George spends roughly the same amount of money to maintain its two cemeteries, St. George City Cemetery and Tonaquint Cemetery, St. George Assistant to the City Manager Marc Mortensen said. “With the funding that we’re talking about right now it appears that the Southwest Mosquito Abatement and Control District operates on a very lean budget,” Mortensen said. The district employs a tight-knit group of four full-time employees, as well as six to eight seasonal employees. Store old tires inside, or cover them. Anyone with concerns about a mosquito bite should contact a health care professional. 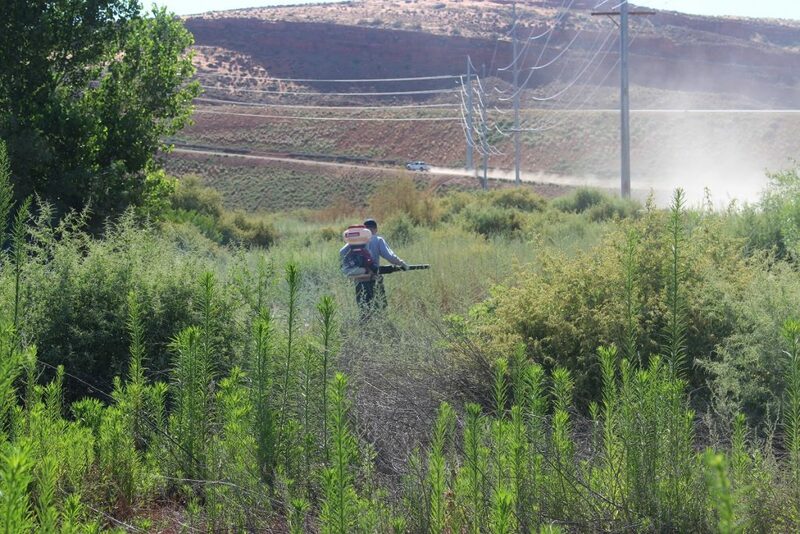 For more information or to report mosquito problems call the Southwest Mosquito Abatement and Control District at 435-627-0076; by email at info@swmosquito.org or go to the Southwest Mosquito Abatement and Control District website.